This training is designed to ensure that pedestrian facilities and access routes, in particular curb ramps, along our roadways are properly design and constructed for all individuals, including those with disabilities. This training was developed to provide information and best practices for those involved in the design and maintenance of curb ramps and pedestrian facilities, and for those individuals that ensure the compliance to applicable accessibility laws and guidelines. 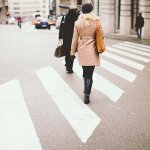 This course is taught from the perspective of the Public Rights-of-Way Accessibility Guidelines (PROWAG), a best practice for accessible pedestrian facilities in the public rights-of-way. The workshop will include a brief overview of the ADA, FHWA requirements, group exercise designing curb ramps, and video presentations by the United States Access Board to provide the attendees with background information and points-of-view of persons with disabilities navigating our pedestrian network. Ted Green, P.E. 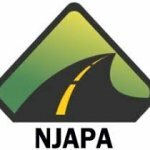 Program Engineer at the New Jersey Local Technical Assistance Program (NJ LTAP). He provides Americans with Disabilities Act training as it relates to the public right-of-way and other transportation related subjects. Ted presents ADA courses with the FHWA Resource Center staff in several states and has been a trainer for the FHWA Designing Pedestrian Facilities for Accessibility Train-the-Trainer. Withdrawal Policy: In the event that you are unable to attend a program for any reason, please note you must submit your withdrawal in writing at least 72 hours in advance of the start of a program to receive a refund. If am emailed or faxed withdrawal is not received by our department, the full program fee will be charged and is nonrefundable. A phone call asking for withdrawal is not sufficient.